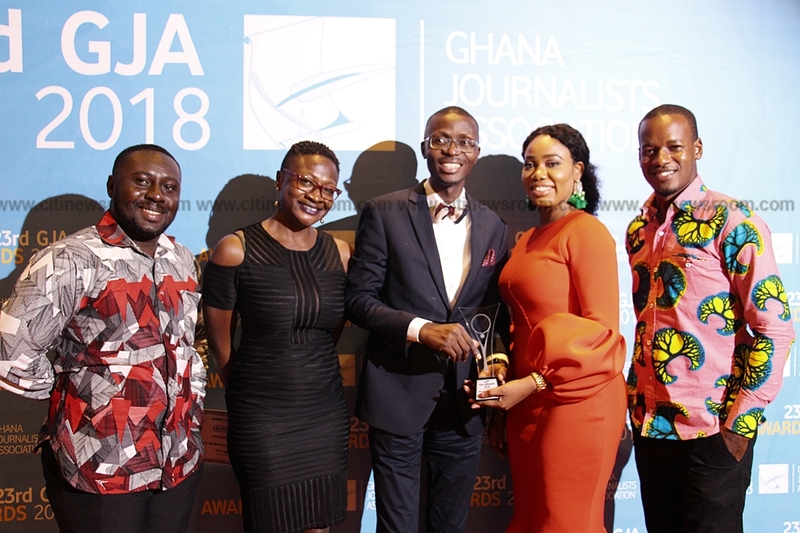 Citi FM’s flagship programme, the Citi Breakfast Show, has been adjudged the Best Morning Show (Radio), at the 2017 GJA Awards held at the Kempinski Hotel in Accra. The 23rd edition of the GJA awards honoured several journalists in various categories for their outstanding works. 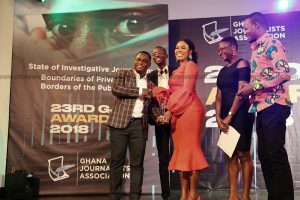 It would be recalled that at the 2016 GJA Awards, the Citi Breakfast Show was named the best talk-show on radio, adding to the award it won at the Chartered Institute of Marketing Ghana (CIMG) awards also in 2016. In total, Citi FM picked up six different awards at the 2016 GJA awards. 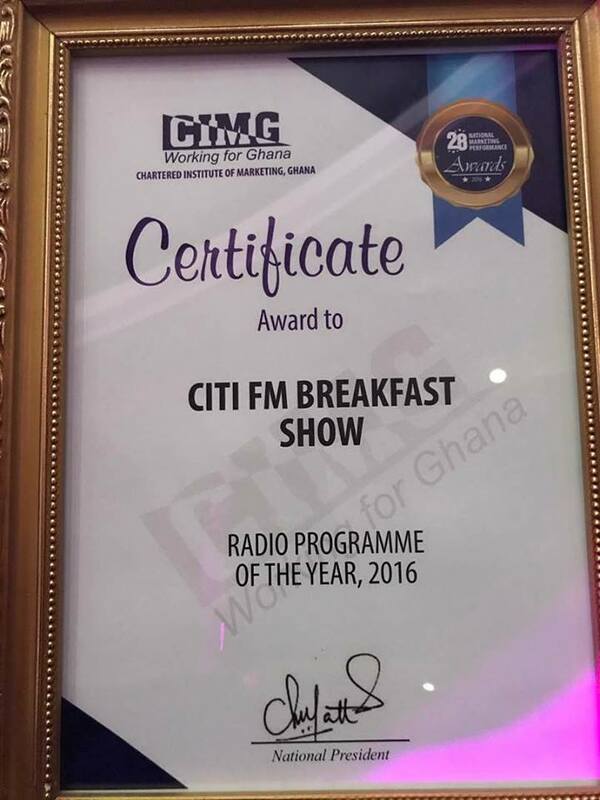 The 2016 award from the CIMG was the third time in 4 years that the Citi Breakfast Show had been adjudged the Radio Programme of the Year by the Chartered Institute of Marketing Ghana (CIMG). The show, which has undoubtedly been the favorite for most discerning listeners in the country, was given the honour at the CIMG Awards which was to recognize organizations and brands for their demonstration of excellence for 2016. “You are noted for keeping an audience captive every morning with your in-depth, thought provoking and unparalleled show which remains in a league of its own. You have scored highly as your assessors realized your ability to deliver on promise. Your ability to blend information, relaxation and entertainment served with admirable affability has become your main stay and hallmark thus making your listeners’ choice in the morning,” a citation presented to the Citi Breakfast Show stated. The Citi Breakfast Show has over the years committed to touching on human-centered issues that are otherwise relegated to the background but speaks to the needs of citizens. Through consistency and hard work, it has grown to be a leading platform for public advocacy and campaigns for and against activities that affect communities and the country at large. The station changed the format of Radio Morning shows by tackling critical national issues more objectively using its own journalists and experts when necessary, and also allowing interactivity, which was a shift from the usual political discussions which are inundated by reps of the two main political parties, the NDC and NPP. The post Citi CBS named Best Radio Morning Show at 2017 GJA Awards appeared first on Citi Newsroom.